Enjoy an authentic Arabian style Andalusian palace. Direct access to La Barrosa, named 2014 best beach in Spain, where rest and relaxation are guaranteed. One Michelin star Alevante Restaurant by Angel León, a Chef who already has 3 Michelin stars for his Aponiente Restaurant and is a winner of the Spanish Gastronomy Award. Discover our revamped The Level service, Meliá´s most exclusive commitment to luxury. Included in Code Nast Traveller´s Gold List as one of the best Resorts in Spain. 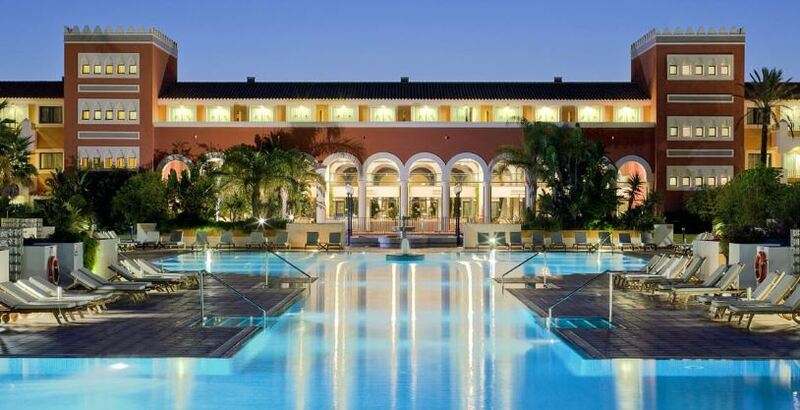 Winner of the best Golf Resort in Southern Europe at the World Luxury Hotel Awards. Sancti Petri Hills Golf Course is designed by the Golf champion Manuel Piñero (Professional Champion of Spain, World team champion, Individual World Champion ,Player of the European Ryder Cup, Vice-captain of the European Ryder Cup Team) and built by the company Target Ingenieros. 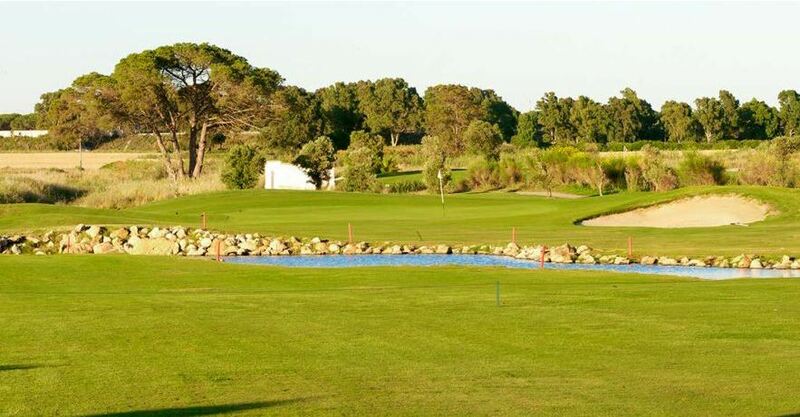 The Sancti Petri Hills golf course can be described as a gentle 18-hole round with a par of 68, sinuous fairways, challenging water hazards, and large moving greens, all surrounded by a real tropical garden within a pinewood, making this a fun and strategic course. 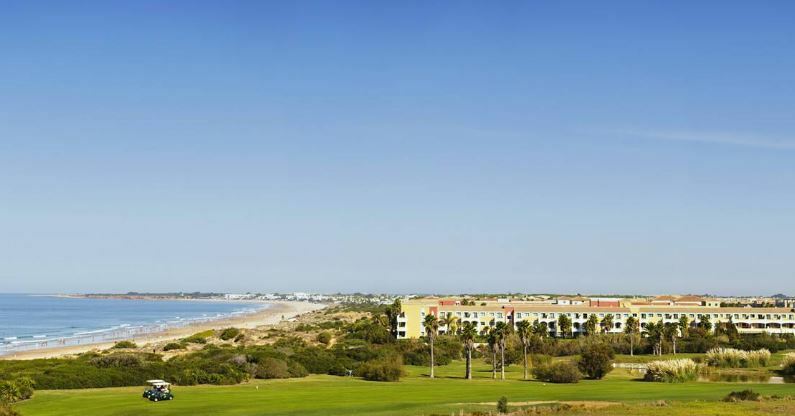 In Chiclana, 2.7 kilometres from the La Barrosa beach and at an altitude of between 14 and 28 metres above sea level, lies the new golf course of Cadiz, La Estancia, extending over 82 hectares. The course, located within a wholly natural environment, is a 72 Par peppered with protected areas which have been respected in the design of the course and which highlight its beauty, encouraging the player to use different strategies for each hole. The dominant winds, the East and West winds, make for a different game every day. The lakes and streams, as well as forming a significant part of the game, are the natural habitat for the more than 25 species of birds that accompany the player during his/her route around La Estancia. Just 2 words describe the Novo Sancti Petri golf course which is nowadays considered by many to be the great Severiano Ballesteros’ masterpiece: Challenges and Beauty. 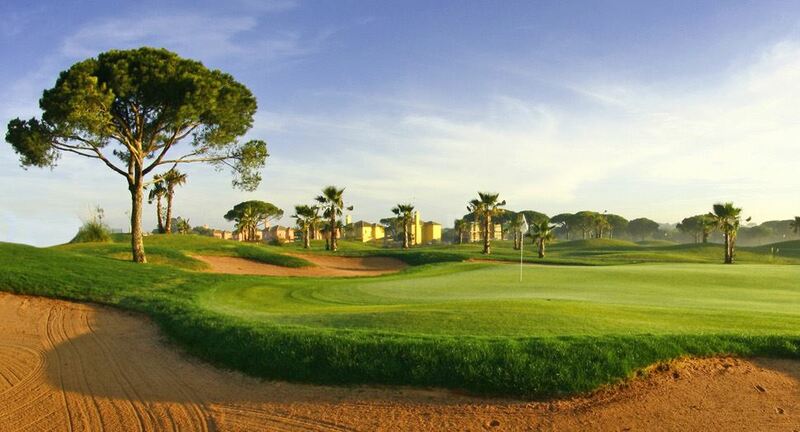 Novo Sancti Petri golf course, the first one designed in Spain by the indomitable and demanding Ballesteros, has been laid out so that players can enjoy the entire philosophy of the game and of Seve’s indomitable spirit in its purest form. For further information and availability of this offer, please fill in your details below and we will get back to you as soon possible. At Golf Breaks In Spain, we believe that your golf holiday should not only be a memorable experience, we also believe it should represent fantastic value! That’s why we offer great golfing breaks at such affordable prices. 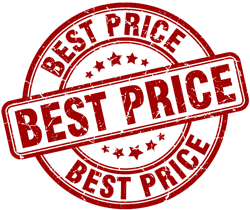 Whatever your quote elsewhere, come to us last and save money! Golf Club Hire from €15.00!! At Golf Breaks In Spain, we can offer you high-quality golf club hire in the Costa del Sol from only 15.00 Euros per set. What’s more, we can deliver the clubs directly to you either at the airport, your hotel or golf course. We also specialise in golf trolley hire and golf ball and tee sets. We specialise in Golf Transfers on the Costa Del Sol and Alicante regions of Spain for parties that prefer not to drive while on the their golfing holiday. We will pick you up from Malaga or Alicante airport and transfer you to your chosen destination, then transfer you each day to and from the golf courses.